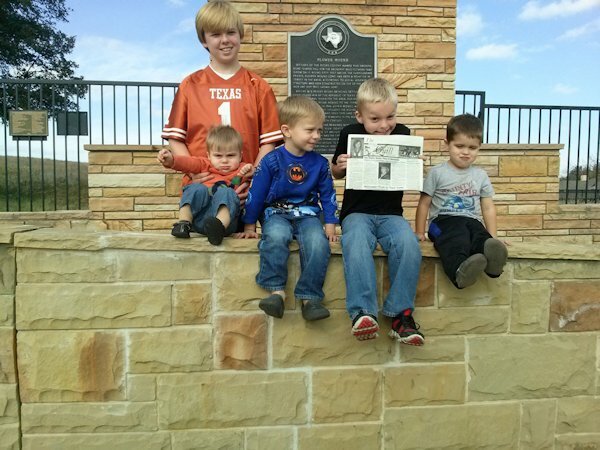 Josh and Hayden Forbes and Jackson Timmerman, of Terre Haute, recently visited their cousins, Case and Cole Nelson in Flower Mound, TX. They were accompanied by Krista Forbes and Ron and Jennifer Schaley. When you go on a trip, take "The Quill" along and have your picture taken with it, then send it to us. Let's see where all "The Quill" can travel.